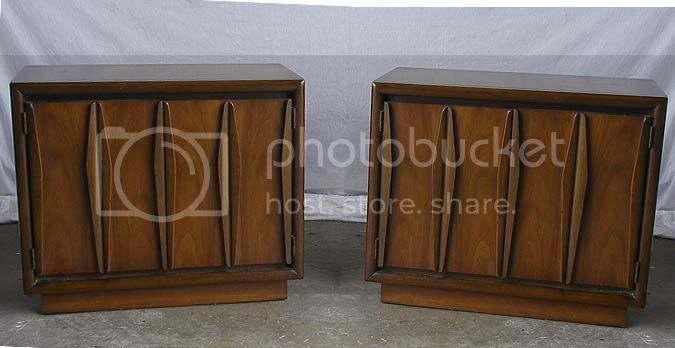 These are two Amazing walnut Mid Century nightstands. Featuring exquisite craftsmanship throughout, beautiful lines, dovetail joints, plenty of storage room and a timeless design. 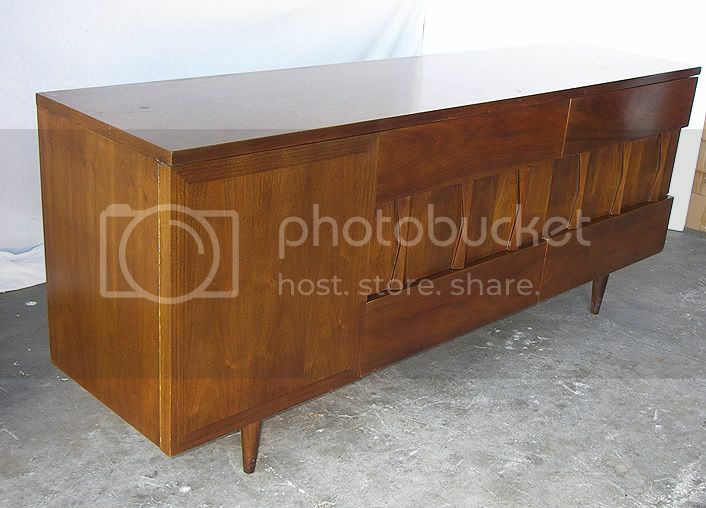 Blends well with any Mid Century, Modern Danish or Eames Era inspired interior. 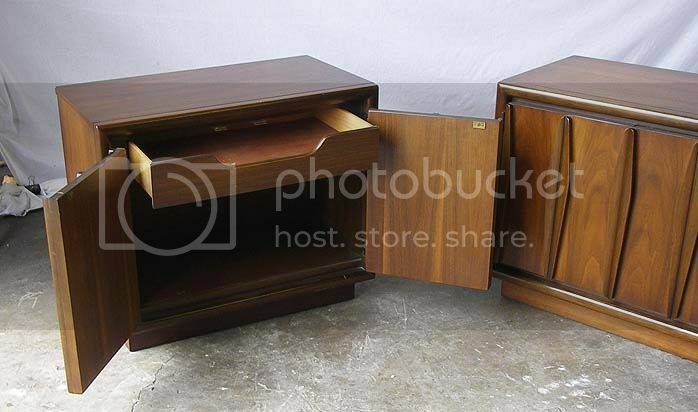 These nightstands are in excellent condition showing no signs of wear. Matching 9 drawer dresser and headboard also available. 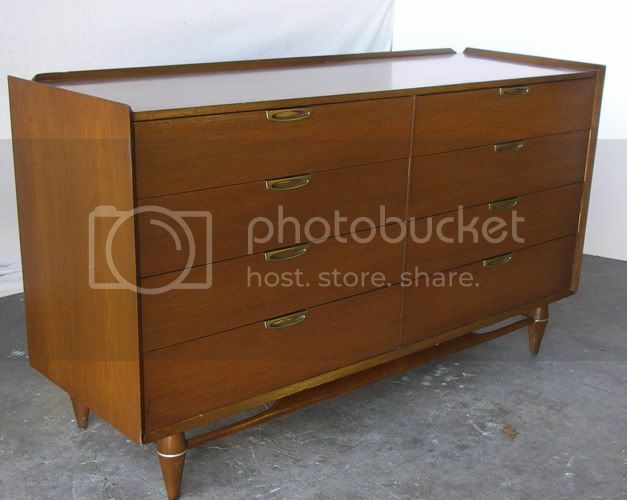 This is a cool walnut wood Mid Century highboy dresser by Broyhill. Featuring exquisite craftsmanship throughout, beautiful pull handles, dovetail joints, plenty of storage room and a timeless design. 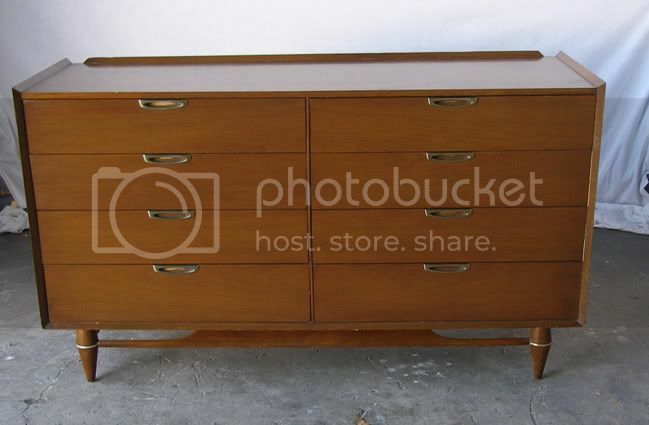 Blends well with any Mid Century, Modern Danish or Eames Era inspired interior. 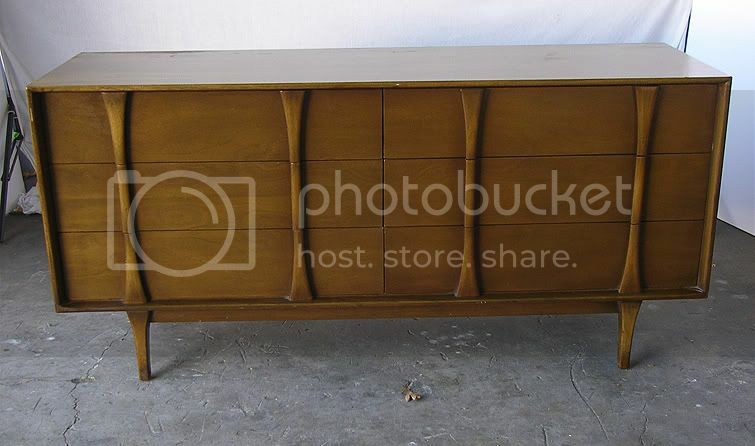 This dresser is in very good vintage condition showing few signs of wear. Matching 8 drawer dresser also available. 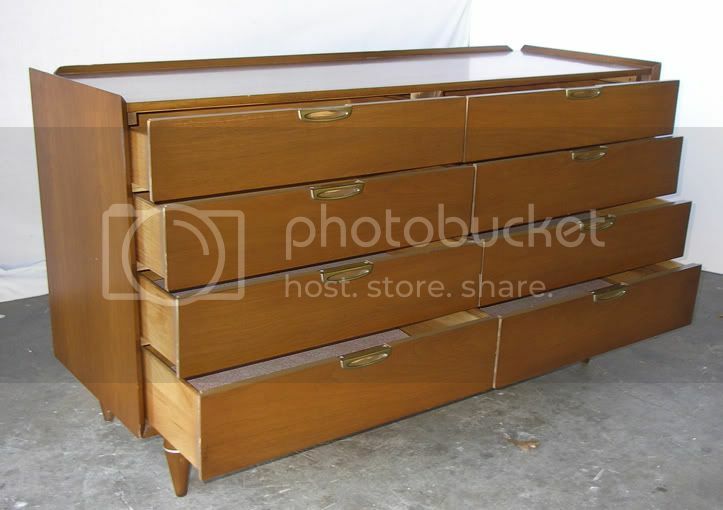 This is a perfect walnut Mid Century 8 drawer dresser by Broyhill. Featuring exquisite craftsmanship throughout, dovetail joints, beautiful pull handles, plenty of storage room and a timeless design. 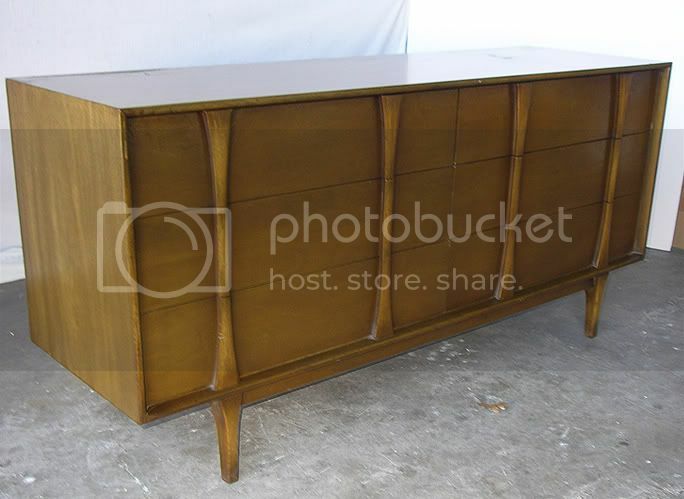 Blends well with any Mid Century, Modern Danish or Eames Era inspired interior. 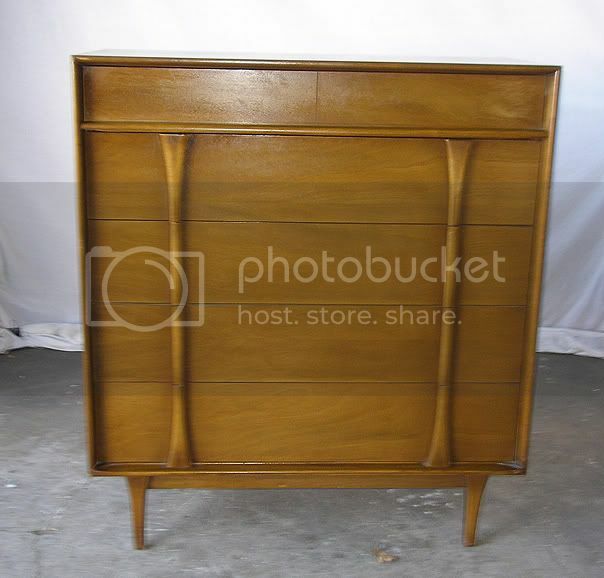 This dresser is in very good vintage condition showing few signs of wear. Matching highboy dresser also available. 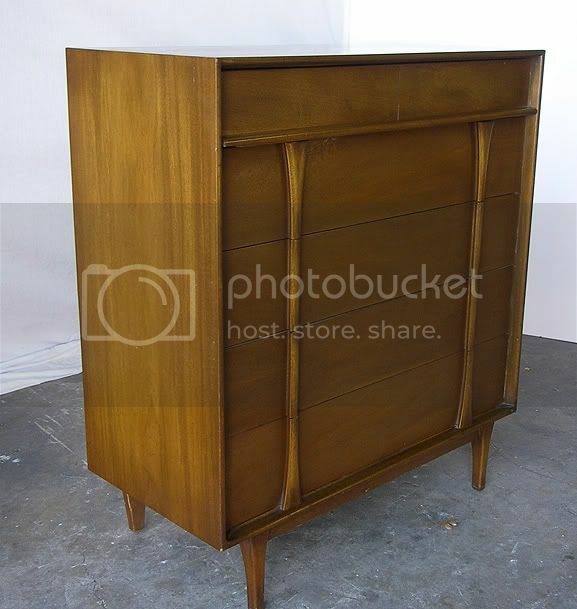 This is an Amazing walnut wood Mid Century highboy dresser by the Red Lion furniture company. Featuring exquisite craftsmanship throughout, dovetail joints, plenty of storage room and a timeless design. Blends well with any Mid Century, Modern Danish or Eames Era inspired interior. This highboy dresser is in excellent vintage condition. Matching 6 drawer dresser also available. This item is located in Bay Shore Long Island and arrangements can be made to view in Brooklyn. All items delivered into your home for a minimal fee. 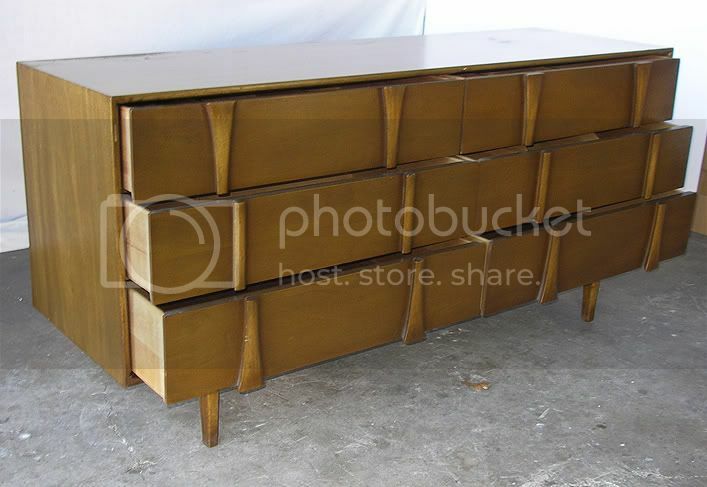 You can view this and other Mid Century items on http://designstoliveby.com. 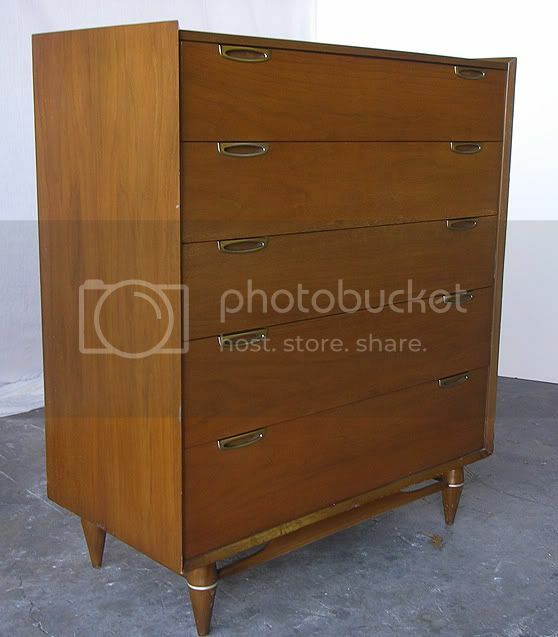 This is a beautiful walnut Mid Century 6 drawer dresser by the Red Lion furniture company. Amazing craftsmanship throughout, dovetail joints, plenty of storage room and a timeless design makes this the perfect choice for any room of the house. 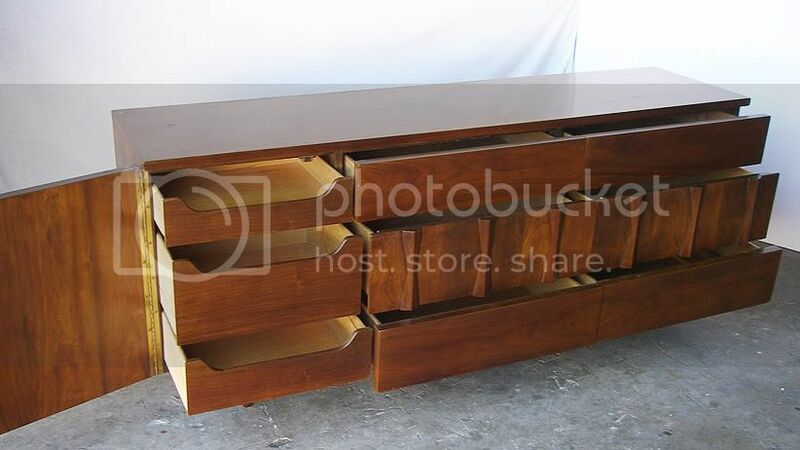 Blends well with any Mid Century, Modern Danish or Eames Era inspired interior. 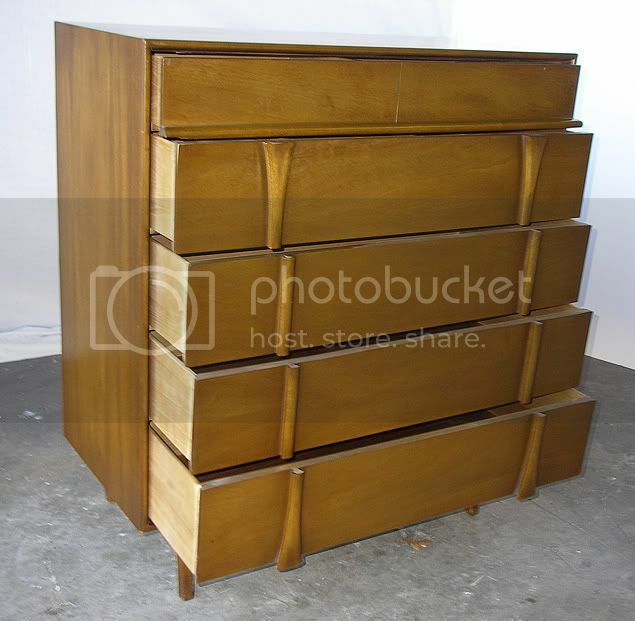 This dresser is in excellent vintage condition. 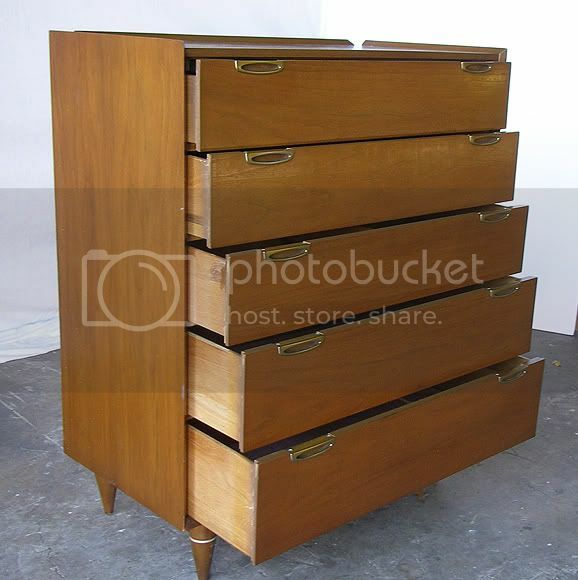 I also have a matching highboy dresser. 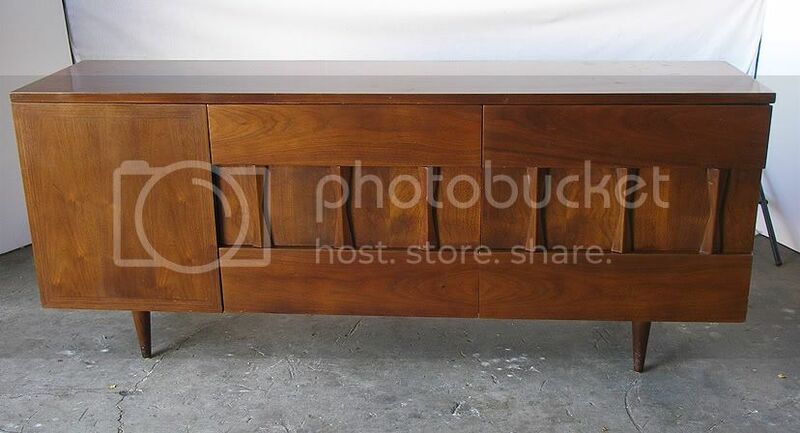 This is a Fantastic walnut Mid Century 9 drawer dresser by the American of Martinsville furniture company. Amazing craftsmanship throughout, dovetail joints, plenty of storage room and a timeless design makes this the perfect choice for any room of the house. Blends well with any Mid Century, Modern Danish or Eames Era inspired interior. 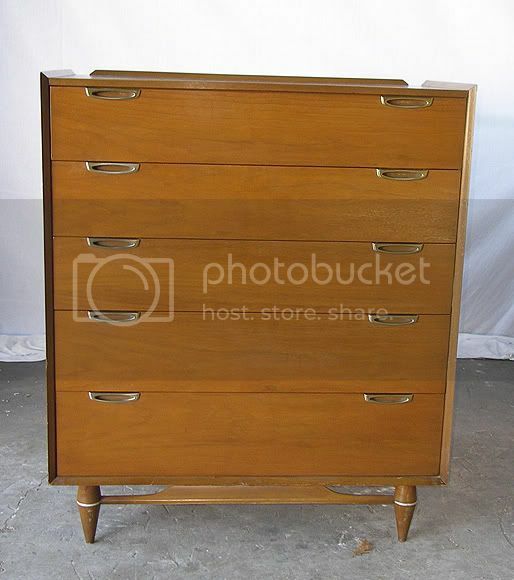 This dresser is in excellent vintage condition.